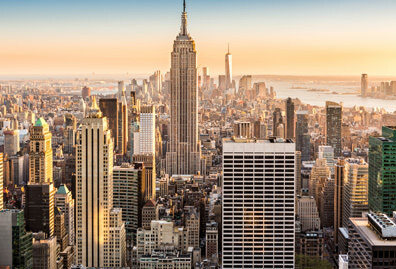 Many of the world’s best novels, films and narratives have been set against the backdrop of the Big Apple. 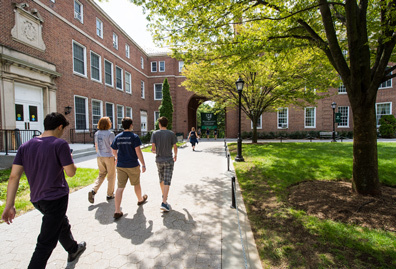 A hub of financial, political, educational and cultural opportunity, New York City is the perfect place for Jaspers to begin their own stories, as well. Gabriel Quiroz ’14, a management and global business studies major from California, started his Manhattan story having only visited the city once as a child. 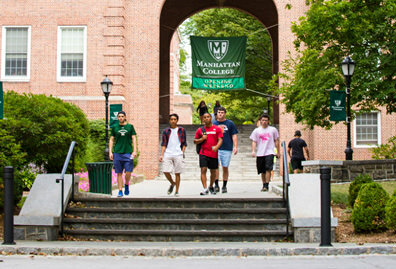 Manhattan College has become a home. It’s great to be part of this community and have the city just a train ride away. Quiroz wasted no time in exploring the city by joining Student Activities on its Saturdays in the City trips to landmarks such as Times Square and the Brooklyn Bridge. He also jumped at the chance to land cheap tickets to Broadway shows like Wicked and Rock of Ages, sporting events like Rangers hockey at Madison Square Garden and live TV tapings like Anderson Cooper 360. Alessandra Piazza ’14, a chemical engineering major from Fair Lawn, N.J., came to Manhattan with a story already in progress. Having exhausted the city’s tourist traps, Piazza and her roommate Joanna Losquadro ’14 traveled off the beaten path to found a new club at Manhattan College called a Slice of New York City or SoNYC, for short. Since the club went public, it turns out that hundreds of Jaspers wanted a slice of the undiscovered city, as well. Piazza’s list of ideas continues to grow with membership. After hosting a successful bike tour of Central Park and a city-wide scavenger hunt, she’s hoping to organize a dessert or pizza crawl, a group Soul Cycle spin class, and an outing to Saturday Night Live or The Daily Show. Both seniors, Quiroz and Piazza are still finding new ways to explore the city. This semester, he’s enrolled in Current Trends: The New York City Art Scene (ART 370), one of Manhattan College’s many classes that takes learning off campus to places like the Museum of Modern Art, the Guggenheim Museum and the 5 Pointz graffiti exhibit in Queens. She’s taking Art of Digital Photography (ART 212), a class that requires visits to various art and photography exhibits throughout the city. 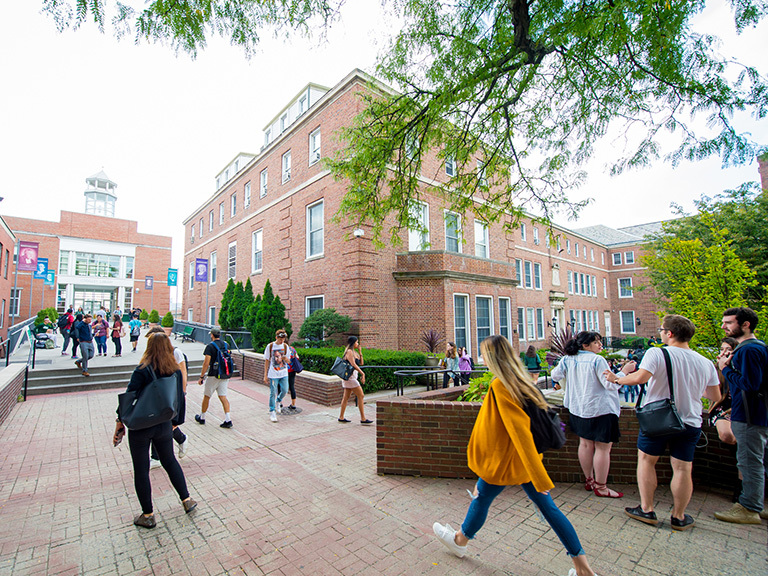 Other New York-specific classes in the College’s catalog include History of the Broadway Musical (MUSC 310), Wall Street (GOVT 212), The New York City Skyscraper (ART 358) and New York City Ethnic Communities (SOC 345). Every Jasper’s New York story should include a visit to the Office of Career Pathways — a path proven successful by the College’s extensive alumni network. 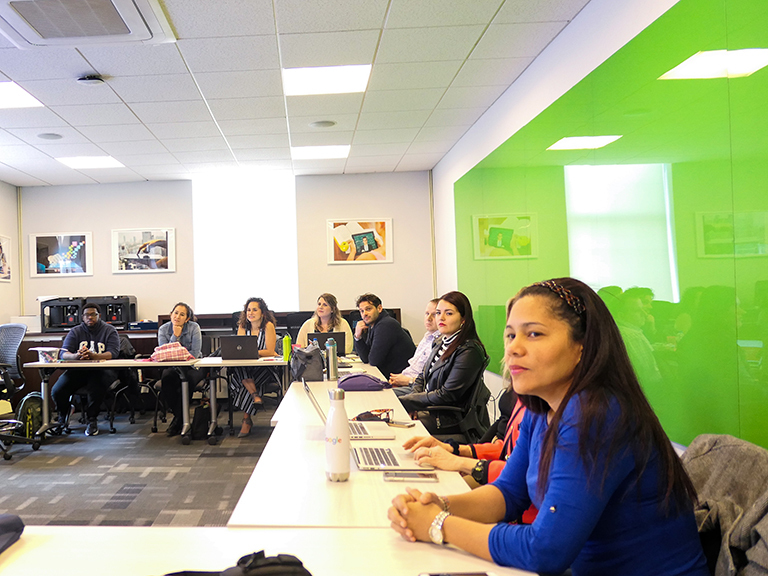 “With the subway only minutes from campus and its easy access into Manhattan and other boroughs, students can gain pre-professional experiences and use these opportunities to explore new and different career options that they never thought of before,” says Kelly Ahn, director of the Center for Career Development. 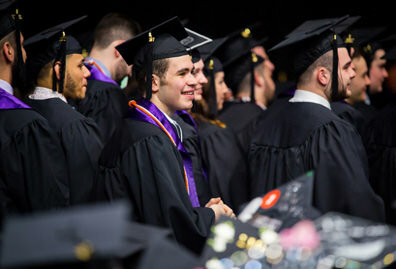 More than two-thirds of the College’s student body complete an internship before graduation, learning and working at some of the world’s leading companies, including Merrill Lynch, The New York Times, CNBC, General Electric, the Port Authority of New York & New Jersey, Verizon and JPMorgan Chase. 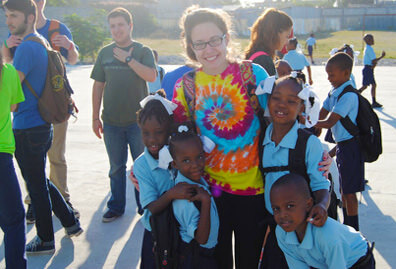 In fact, several students in the class of 2013 landed full-time positions immediately upon graduation at companies ranging from ExxonMobil Corp. and PricewaterhouseCoopers, to J. Crew Group and BlackRock due to their participation in internships. Michael Estrada ’13, a mechanical engineering major from Bellrose, N.Y., interned at Critical Solutions and Innovations (CSI) in Manhattan the summer before his senior year, not only gaining real world experience but also developing important contacts in the industry that he held onto until it came time to apply full time. Today, Estrada is a mechanical engineer back at CSI, which has merged with Philadelphia-based company Bala, and he works in the New York office specializing in both design of HVAC systems and commissioning of critical data centers.